Build And Live In The Country!! Build your dream home in the country on this 1.6 acre property. Located just west of off Highway 108, 2 miles north of Glencoe, Oklahoma on a good all weather road. The property has the old home from years gone by that is currently a storage building for the owners, and still has full electric service. A 2002 16’ x 80’ mobile home with updated appliances boasts 3 bedrooms and 2 baths and sits on the west side of the property. Rural water (Lone Chimney Water District) and OG&E electric means easy utility bills. The septic is an aerobic system with a compressor that was just serviced last year. This location is ideal as it’s only a couple of miles North of Glencoe or 4 miles south of US Highway 64 which goes east to Pawnee or west to Morrison. Stillwater and Oklahoma State University is only 30 minutes away and Tulsa is about 1 hour east on the Cimarron Turnpike (Highway 412) . 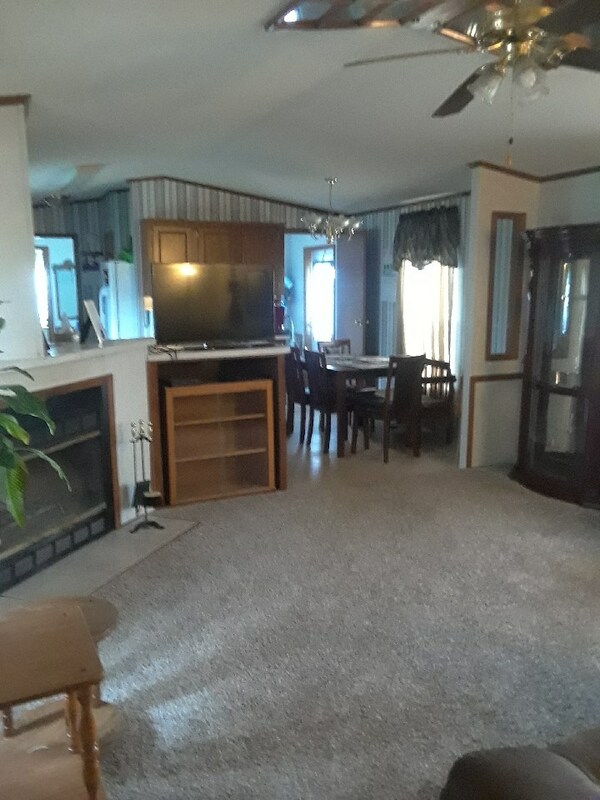 Live in the mobile while you build or bring in a new double wide and still have plenty of room with the nice size yard with several fruit trees already established. Available now for only $59,900.